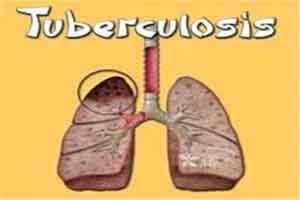 New Delhi: Huge funds should be allocated for research organisations to discover advanced vaccines to tackle the dreaded tuberculosis (TB), a Congress member sought in the Rajya Sabha. Raising the issue during Zero Hour in the Upper House, Anand Bhaskar Rapolu said currently there is only BCG (bacille Calmette-Guerin) vaccine for new-born children and there was no advanced vaccination. “With advanced stage of tuberculosis spreading infection to communities of lowest income groups, I urge upon the government to give prevention of tuberculosis and the necessity of advanced vaccines is highly required,” he said. An advanced vaccine will prevent the complication for which there is every necessity to support huge funds for research organisaions, he said. Rapolu also sought that the government should administer three varieties of antibiotics and also provide nutritious food under ‘Antyodaya Anna Yojana’ under the Food Security law to TB affected patients. Tuberculosis in India is a passive killer, killing above 5 lakh people every year, out of which 1 lakh people from multi-drug resistant tuberculosis, he added.